Traffic has seemingly been the bane of our existence since the days of the horse and buggy. Millions of hours are wasted on the road every single day. Last year, the average San Francisco resident spent 230 hours commuting between work and home. In Mumbai, the average commute time is 90 minutes. With more people having access to cars and cities seemingly getting more crowded every day, the problem is only getting worse. Wouldn’t it be great if we can just take to the air and flyover all that soul-crushing traffic? Many of us have been dreaming about flying cars since at least Back to the Future II. Unfortunately, they have been ’in development’ forever. Many companies have prototypes but nobody is really getting any serious traction in getting them into the real world. Uber, however, might be separating themselves from the pack. They’ve signed a Space Act agreement with Nasa to create a brand-new air traffic control system and have a seemingly solid plan to get their cars into the sky. The ambitious project is called Elevate and the company is hoping to start testing in cities like Los Angeles, Dallas, and Dubai by 2020. If successful in those cities, the service could be available on a wider scale by 2023. 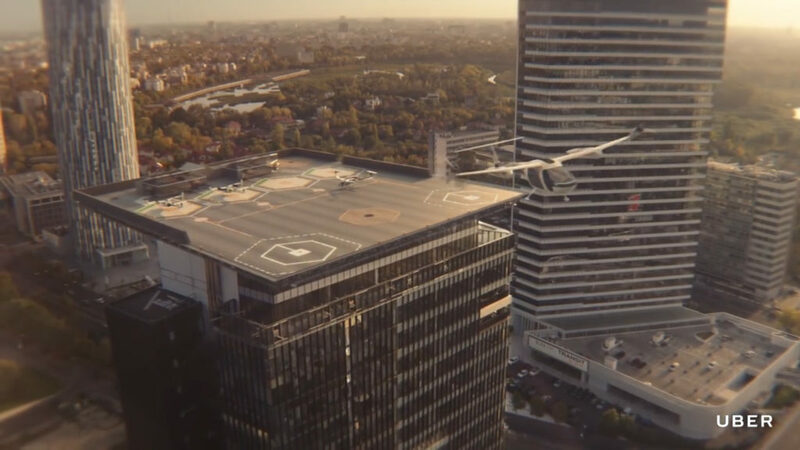 Uber’s Elevate program plans to use a network of small electric aircraft that will take off from and land at “vertiports” which are similar to helipads. The goal is to repurpose places like tops of buildings, parking garages, and bridges. The company also hopes to utilize unused land on the side of highways and existing heliports. They feel by repurposing parts of already built structures and unused land, they can cut down on costs of building heavy infrastructure. Uber is basing their aircraft on helicopters but intends to make them more efficient, cost-effective and friendlier to the environment. Short for Vertical Take-Off and Landing, VTOLs will be small electric fixed wing aircraft that like the name says, take off and land vertically. Uber hopes that by using electronic propulsion it will greatly cut down on noise and emissions. By taking off and landing vertically, the space required for the vehicles to operate will be minimal. As far as power goes, the VTOL’s will rely on rechargeable electric batteries. Although Uber hopes the aircraft will eventually be autonomous, human pilots will initially be flying VTOLs. They will have to be properly trained like regular pilots but Uber is planning to use pilot augmentation technology which will significantly reduce pilot skill requirements. This will, in theory, make available a larger pool of talent. Users will put a request in the app, head to a nearby area that has a vertiport or vertistop, and take off. 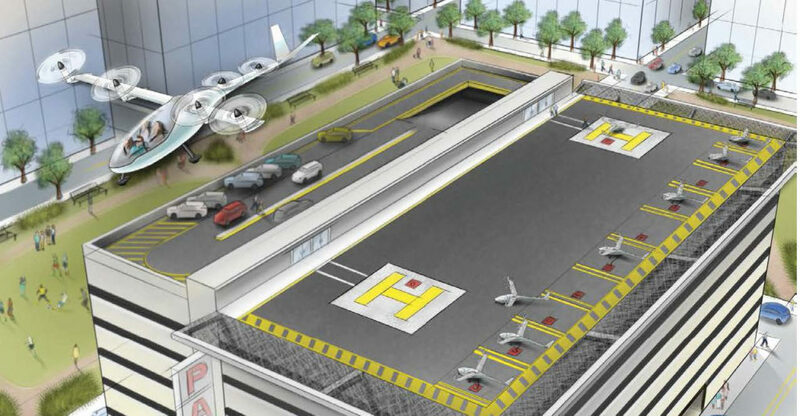 As far as pricing goes, initially the air taxi rides will cost similar to a helicopter flight. But Uber hopes that mass production and increased use of the rideshare will bring the costs down significantly. Uber won’t be producing their own vehicles or batteries as they will be relying on partners. There are over 70 companies working with Uber to help with the technology. 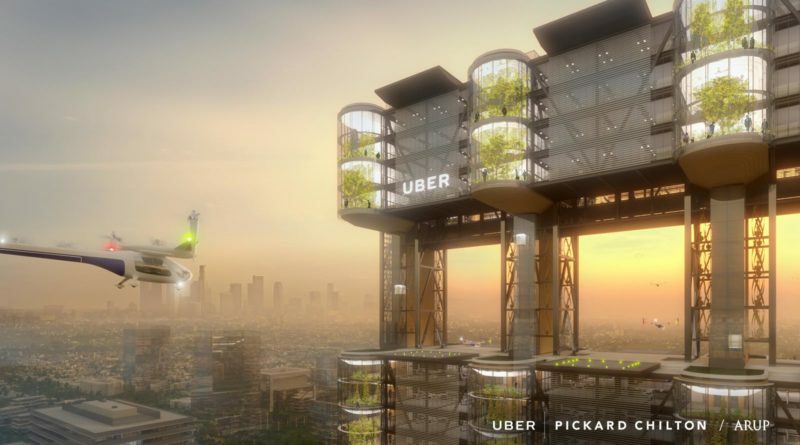 At least in the somewhat near future, flying cars whether backed by Uber or another company won’t be able to work in every city. Places will need to have stable weather conditions that are suitable for low flying aviation. So places that get a lot of wind, rain, and snow are probably out. Cities will also need to have sufficient locations to place landing pads. Most importantly, a host city must be committed to modernizing policies and regulations to support this new network. As promising as this sounds, Uber’s Elevate program still has a large mountain to climb. It’s going to take a lot of testing, collaboration, and resources to make this a reality. We’re optimistic though, the company seemingly has the right partners, an in-place network and a pretty big bank account. Check out our articles on autonomous taxis taking you around Tokyo and ones that shuttle your kids to school.